Cooking for both my niece and nephew can be a challenge, as of late, however, I've only been babysitting one of them at a time thus have only had to worry about a meal which will suit just the one of them. If you have an only child, or babysit your niece of nephew, count it as a blessing because cooking for them couldn't be easier with this recipe. It's simple, well-seasoned, and delicious. 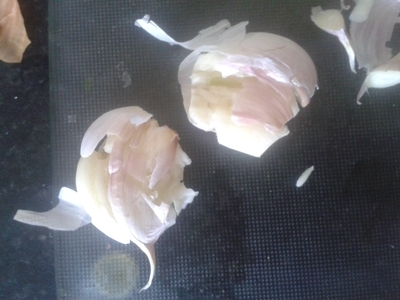 Smash the garlic cloves and set aside. 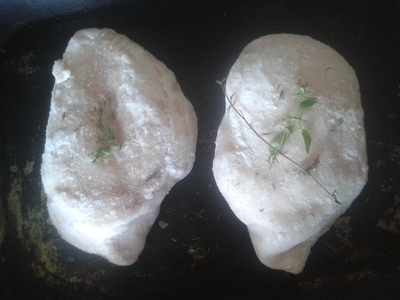 Season the chicken fillets and place in the oven for 20 minutes. 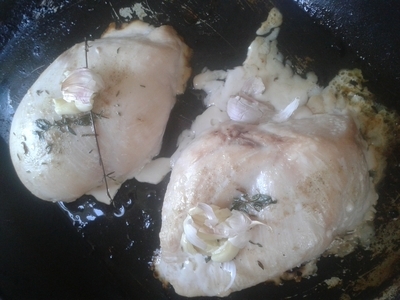 Remove the fillets from the oven and add the crushed garlic. 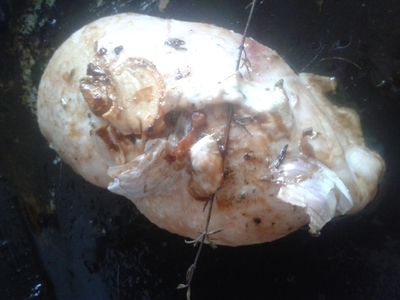 Place back in the oven for 15 minutes. 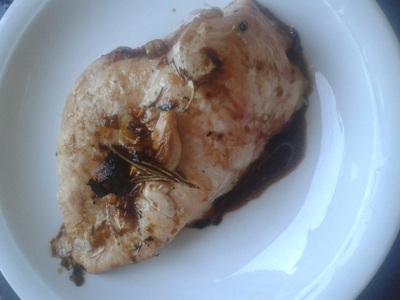 5 minutes before it's ready remove the chicken, pour over the balsamic and turn the heat up to 200 degrees. 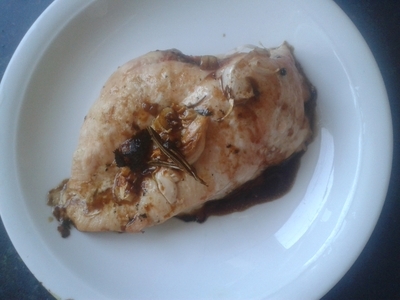 Remove from the oven - the balsamic will have caramelised much like the garlic. Serve this with any type of green vegetable - I served it with spinach and spring greens. Healthy cooking was never easier.